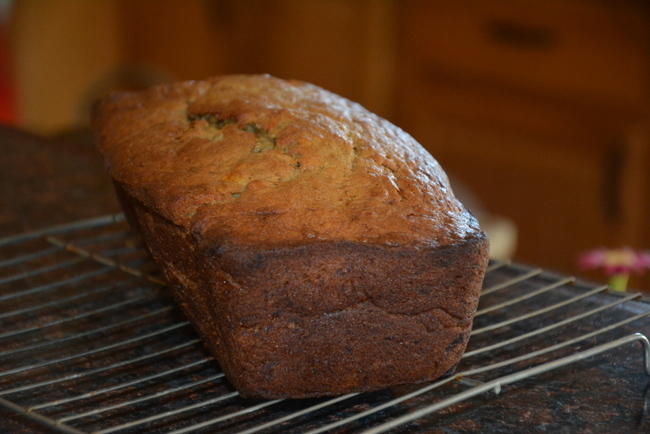 Banana bread has been a fixture of American cookbooks since the 1930’s, probably as a by product of the Great Depression when innovative housewives in struggling families wanted to avoid throwing away overripe bananas, which were costly to purchase at that time. 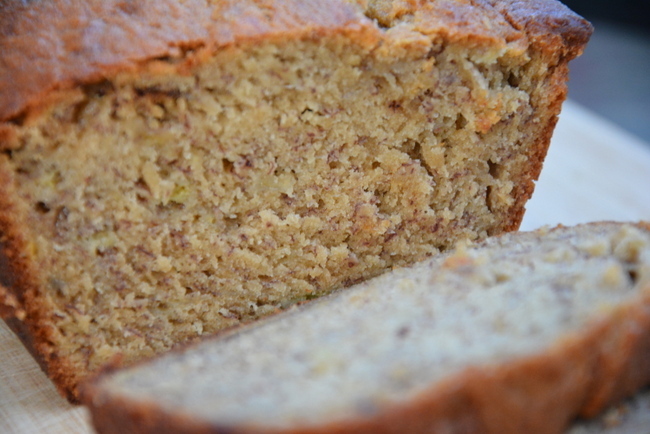 It has become so iconic tha there is a National Banana Bread Day in the U.S. (February 23rd)! Whatever its evolution, I am so very grateful to those early cooks and their splendid innovation. This is the culmination of years of experimentation — white sugar versus brown sugar; light brown versus dark brown sugar; the number of bananas, the temperature of the oven; melted butter, browned butter, softened butter. This is one of my family’s favorite recipes, and I hope you’ll like it too. 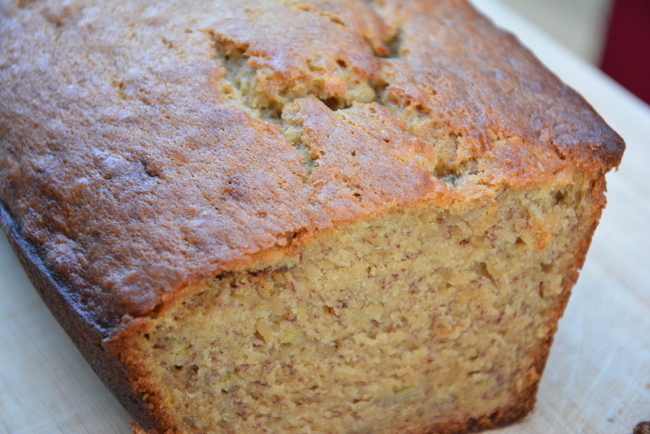 It is amazingly simple to make, always moist and delightfully soft. Cream butter and sugar. Add eggs one at a time. Beat in mashed bananas. Whisk together dry ingredients and beat in. Pour into well greased loaf pan.